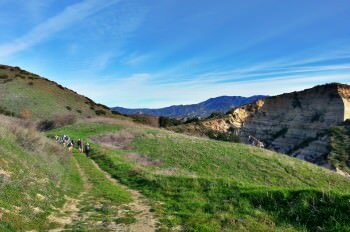 Join us every Monday night for a fitness-focused hike on the paved Hicks Haul Road. 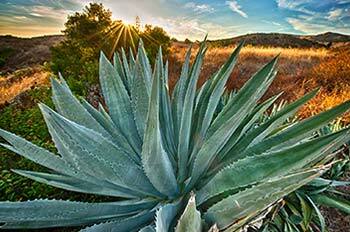 During the spring, summer and fall, hikers will enjoy wonderful sunset views and a panoramic overview of Orange County. 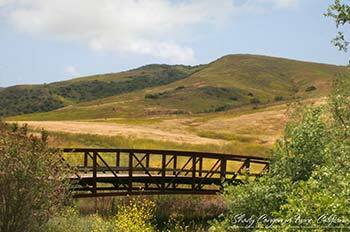 This hike travels about 3.5 miles, up to the top of Loma Ridge and back down. The hike is conducted at about 3-3.5 miles per hour, but you may travel a bit faster or slower, at a walk, run, or jog depending on your comfort level. Most participants finish the route in about 1 hour. Because of the paved surface of the road, you may wear regular running or walking shoes. Trail shoes are fine, but not required. Please bring adequate water! Reviewing the 1-through-5 Difficulty Ratings will help you evaluate your readiness to participate in this level-3 activity on the land.